One of my 2 cases at the recent 2018 Cincinnati show. 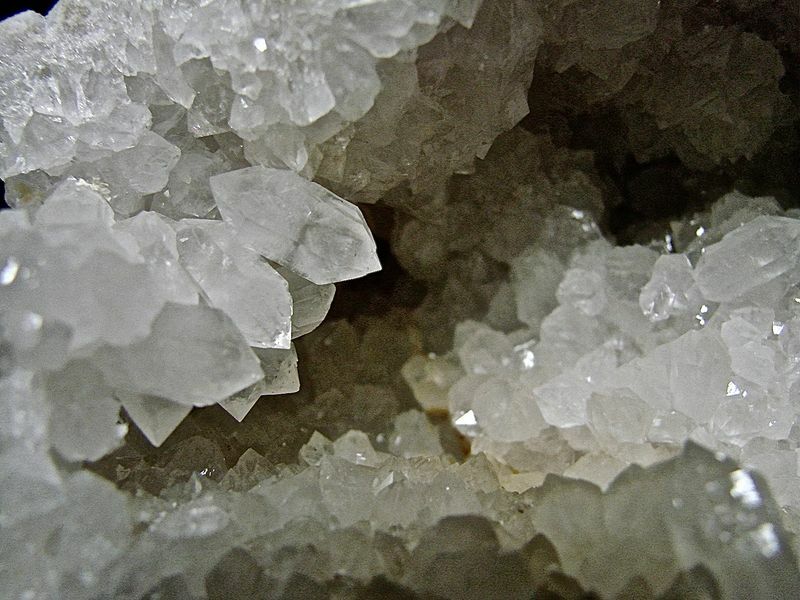 The show theme for minerals was calcite and its many crystal forms. Some of these examples have never been previously displayed. The first time these have all been displayed together in 1 case. 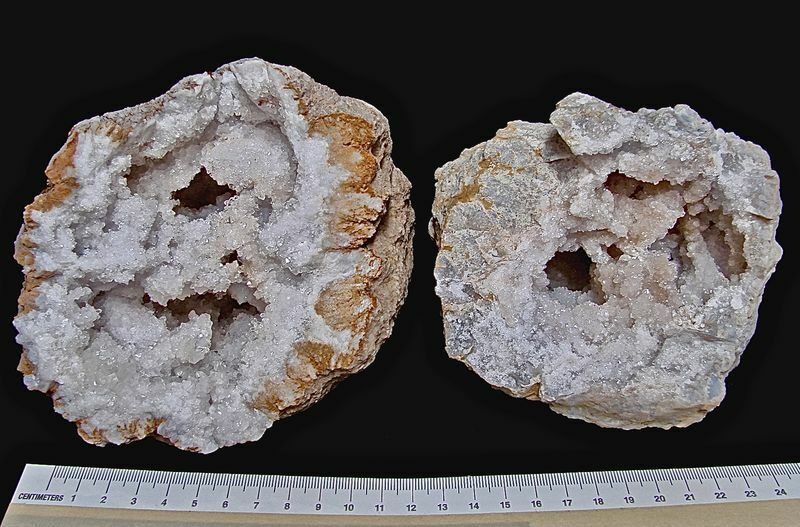 Two examples of Aragonite sprays on Quartz with some corroding iron oxides (limonite). Both self collected about 10 years ago. Dimensions: the diverging aragonite sprays are 2 cm - 3 cm. Two more examples of Indiana Millerite from my collection. Both were self-collected about 2007. 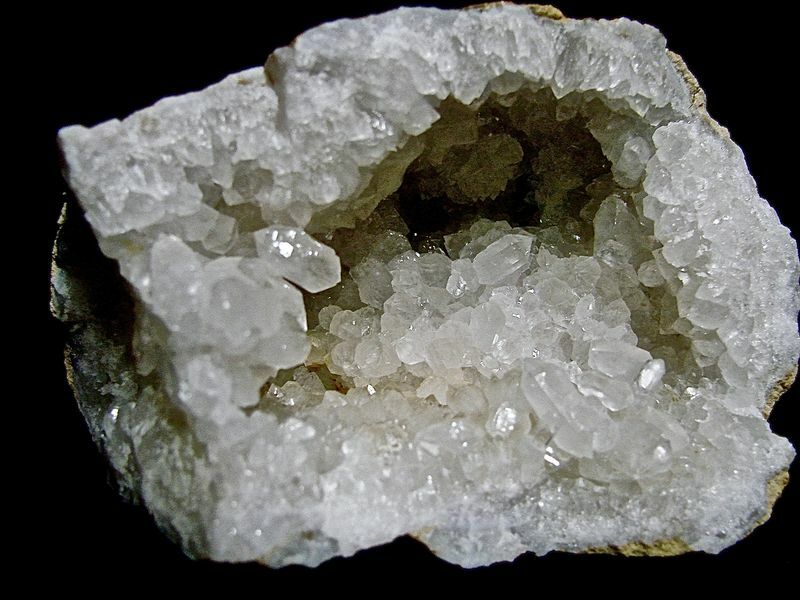 One of the so called hallmarks of the rock structure called a quartz geode is that the quartz crystal tips are suppose to point inward toward the center of the cavity. While this is generally true, a very small percentage have other appearances. These are a few; all self collected. 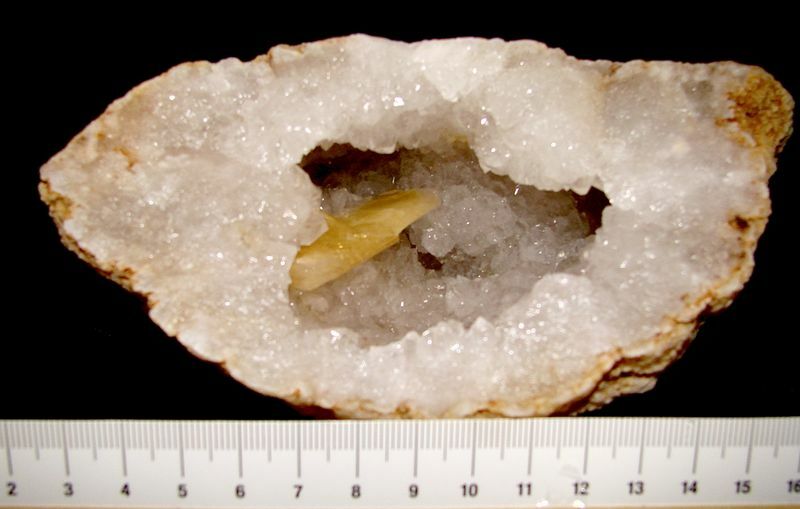 Both examples have interesting free form quartz areas within the cavity. 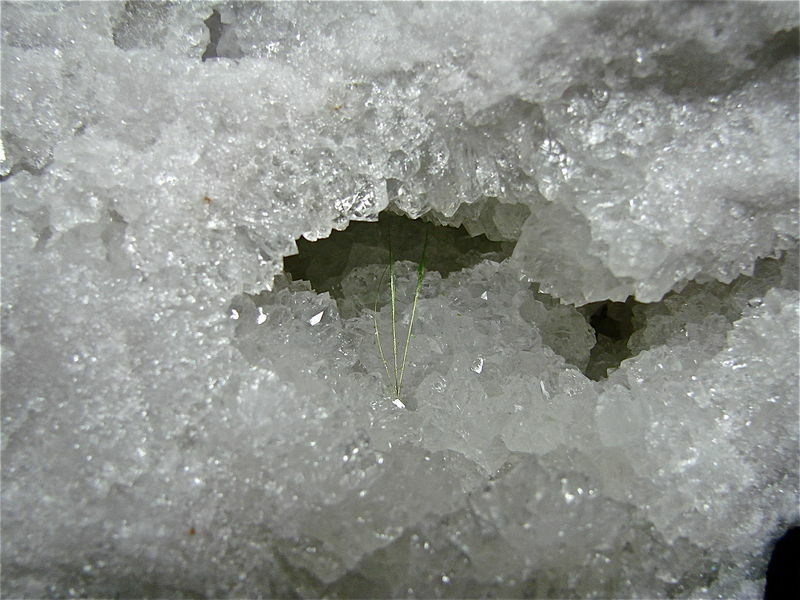 Several quartz crystals lying side by side. 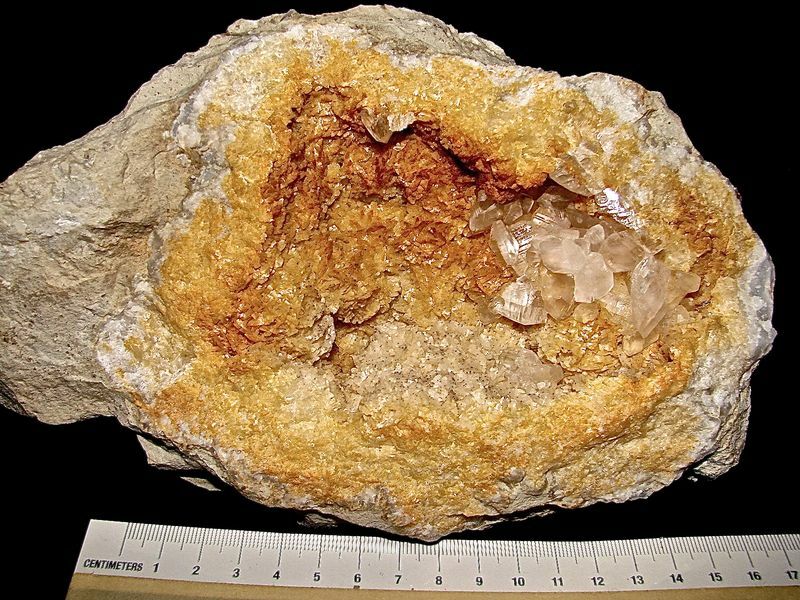 The largest crystal is a full 1.0 cm and doubly terminated. Very rare. Close up of above example. Two unusual examples from my collection. 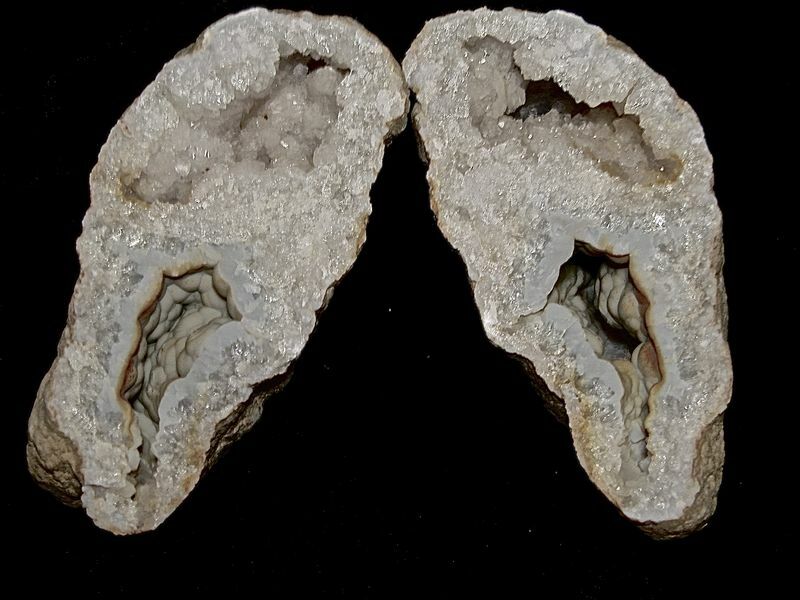 The first is a 15 cm x 15 cm geode showing a double cavity layer of druzy crystalline quartz tips atop blue-gray microcrystalline quartz (chalcedony). 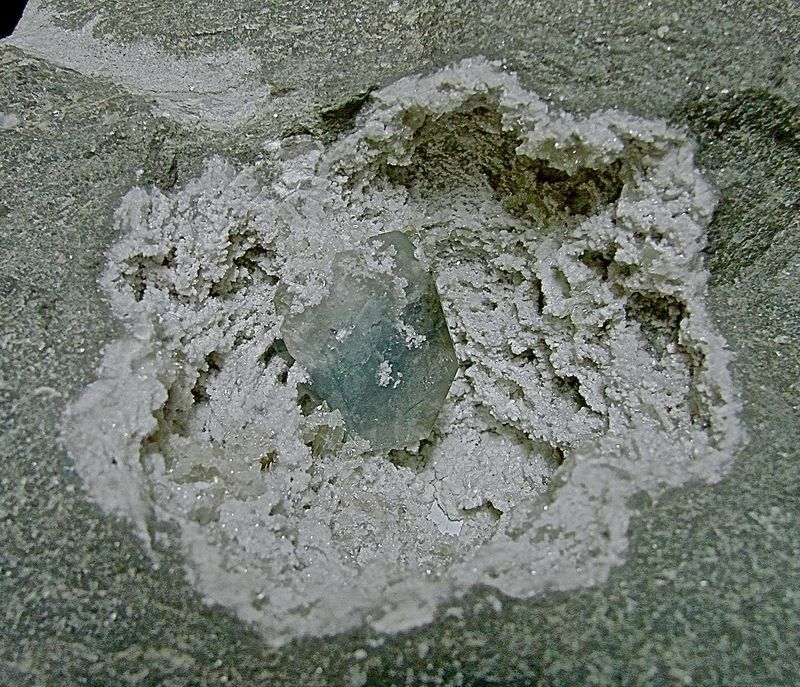 The second example is an 11 cm x 7 cm oval and bi-septate geode with one cavity showing blue-gray microcrystalline quartz (chalcedony), while the adjacent cavity contains druzy clear quartz crystal tips. Self collected about 10 years ago. As seen , some patchy iron staining. Self collected in 2015.Large cabinet sized example, well displayed and very photogenic. Self collected about 2 years ago by a collector friend of mine. 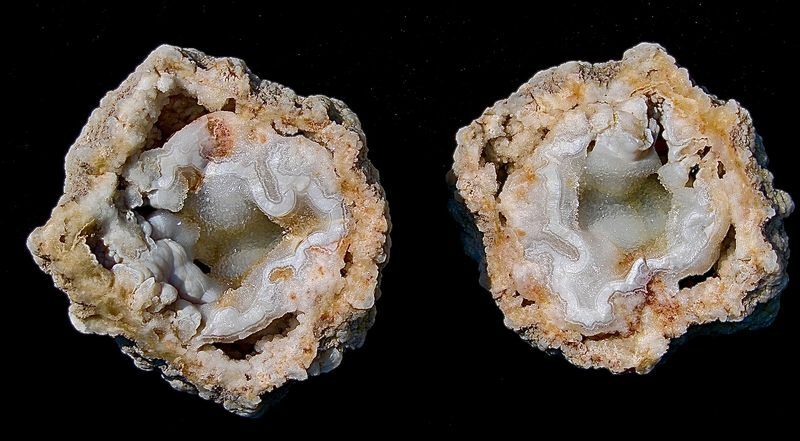 Many geodes that, when opened, happen to break badly, can still be salvaged. Very collectible areas can be culled from the broken examples. These are 2 more such examples. 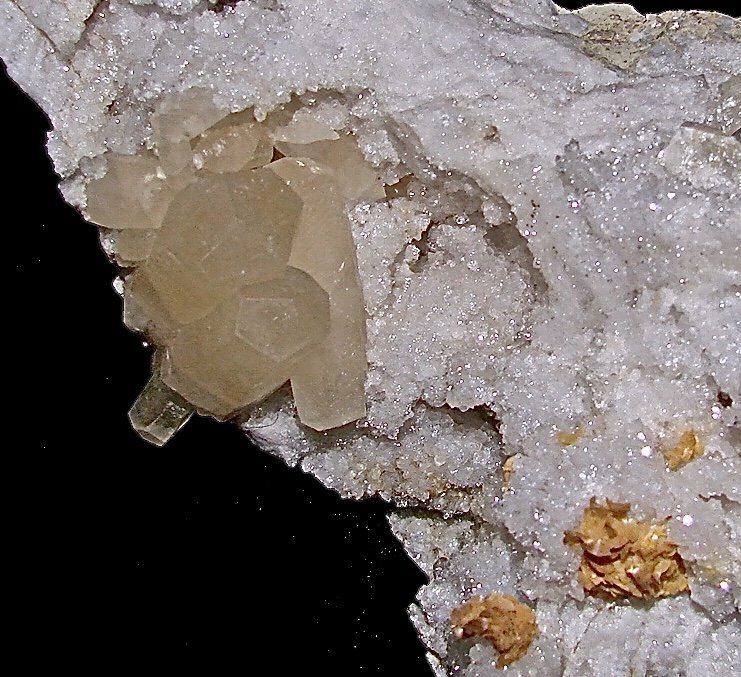 Calcite on Quartz and Calcite on Dolomite. 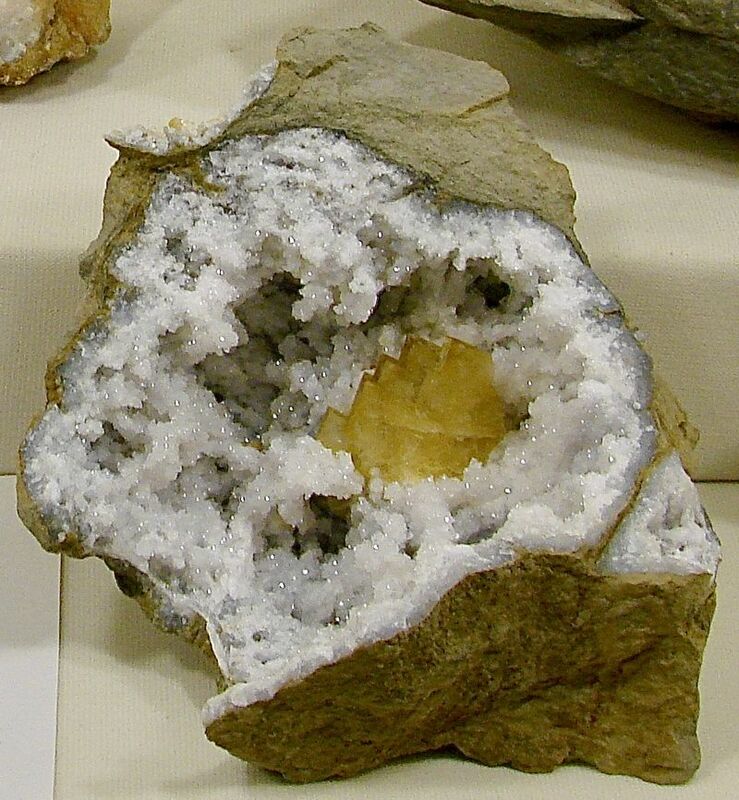 Segment of a very large geode. Self collected about 12 years ago. Collected about 20 years ago, acquired by me about 10 years ago, with the quarry closing and becoming flooded about 5 years ago, this is now a classic from this now extinct locality. Examples of this quality, from this locality, are only rarely seen now-a-days. 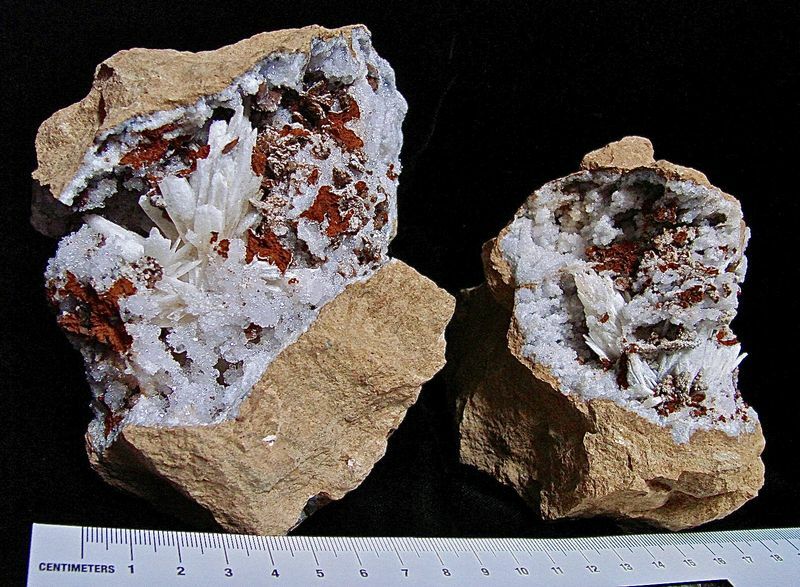 Culled out examples of larger doubly terminated Celestine crystals on Quartz with the limestone matrix are a true rarity. 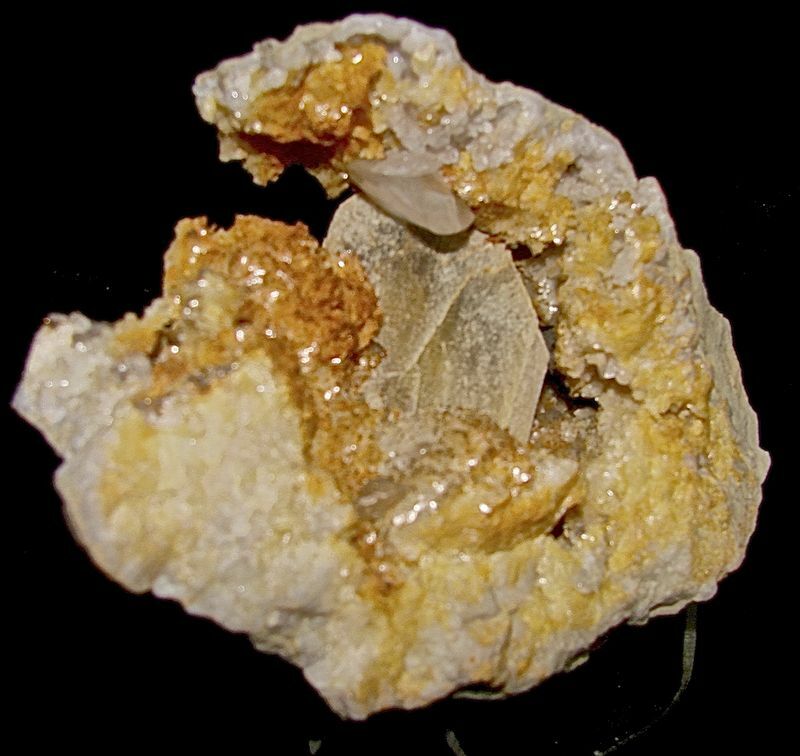 Dimensions: Celestine is 3.8 cm in a 9.5 cm geode. Bi-colored and doubly terminated Celestine. 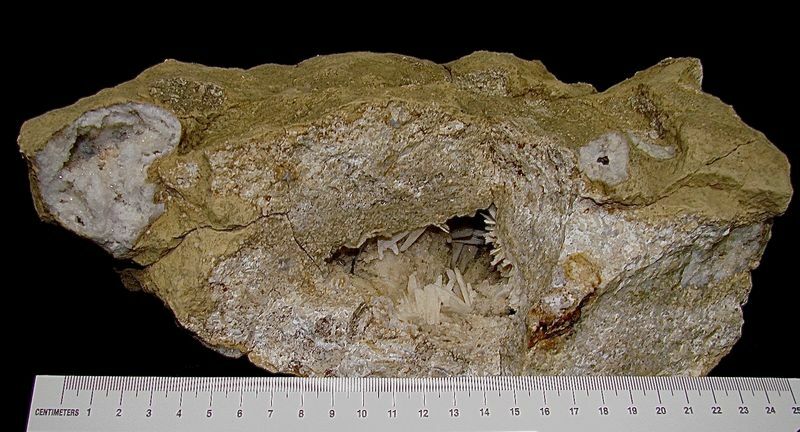 A large piece of coarsely grained fossiliferous limestone with a 3 cm Quartz geode of little significance except for the incidental nearby occurrence of a 5 cm vug containing sprays of Aragonite. Self collected about 12 years ago. 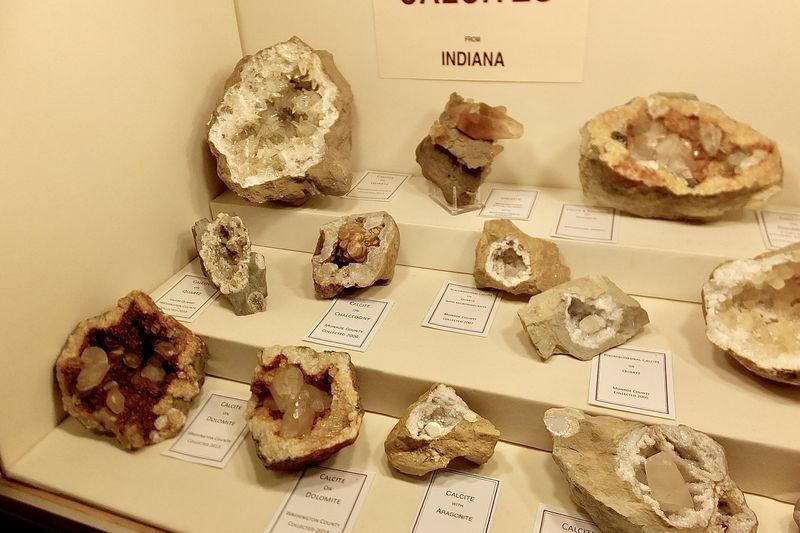 More examples of highly collectible Indiana Barites from my collection. All were self collected over the past 15 years. 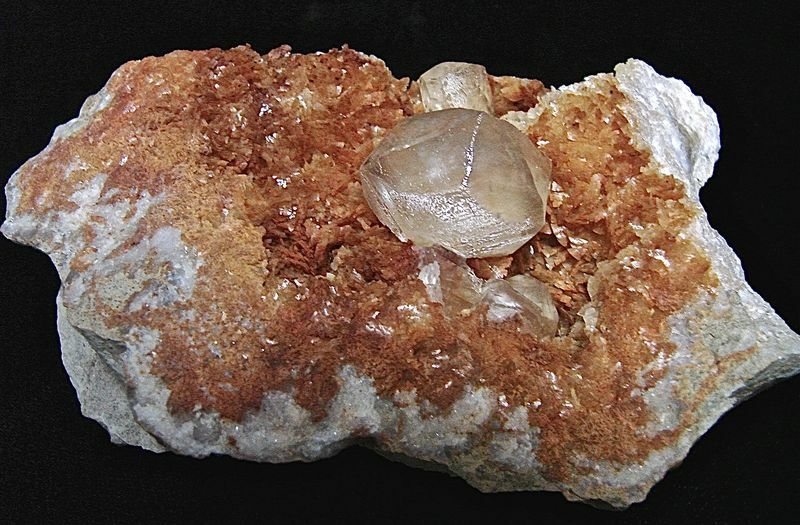 Dimensions: the Barite crystal is about 3.5 cm. 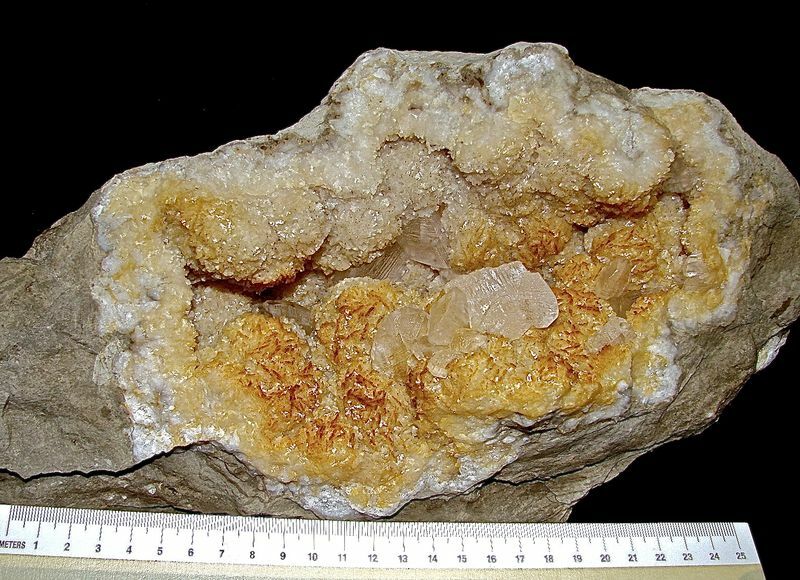 The calcite crystal is 2 cm. 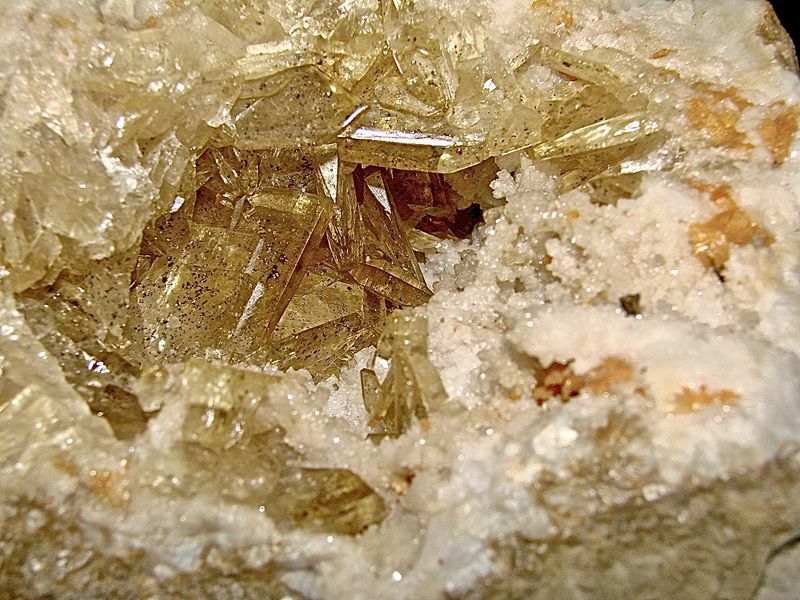 Barite crystals from this locality are greenish-yellow in color and rarely lustrous.Collected about 10 years ago. Barytes on Quartz. 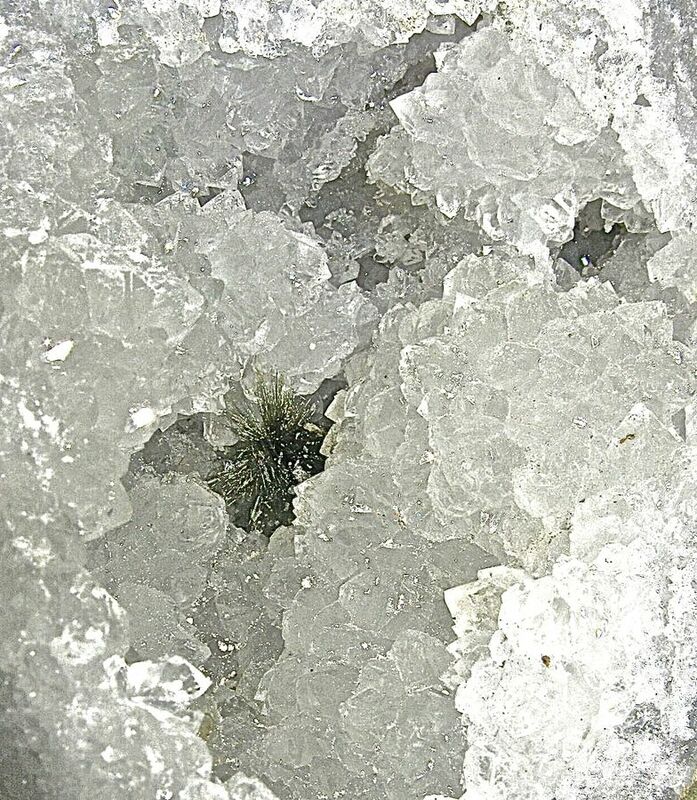 There are micro Marcasites and/or Smythites as wellThese crystals clearly show the Barite inclusions. 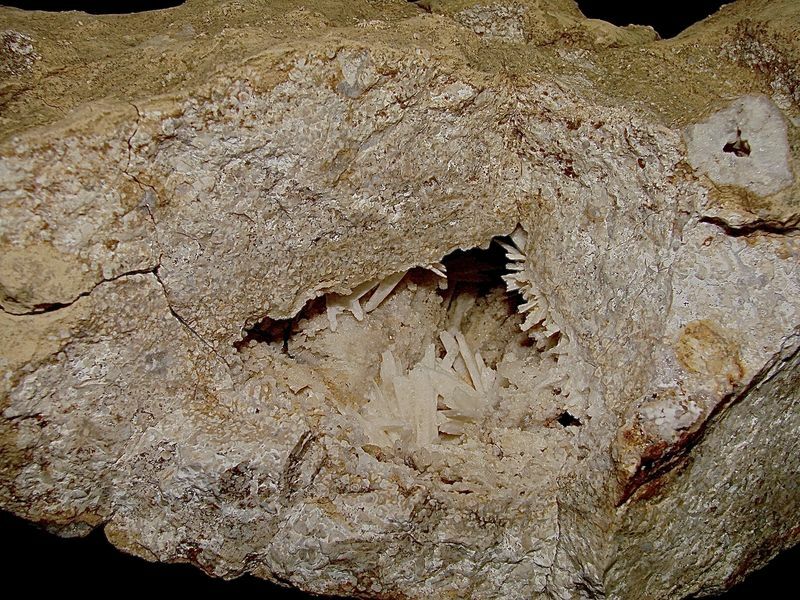 Smythite is the only mineral first found in Indiana and the Harrodsburg road cuts are the type locality for this mineral. The inclusions appear as 1mm six sided plates. Great finds! 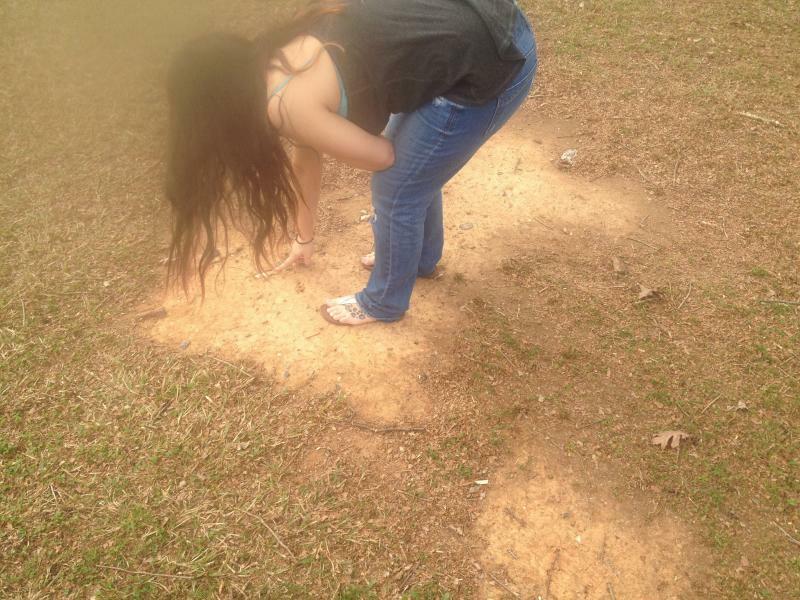 I wish I lived in a location where I could collect myself. The closest destination, that is decent, is three hours away and only accessible during low tides. 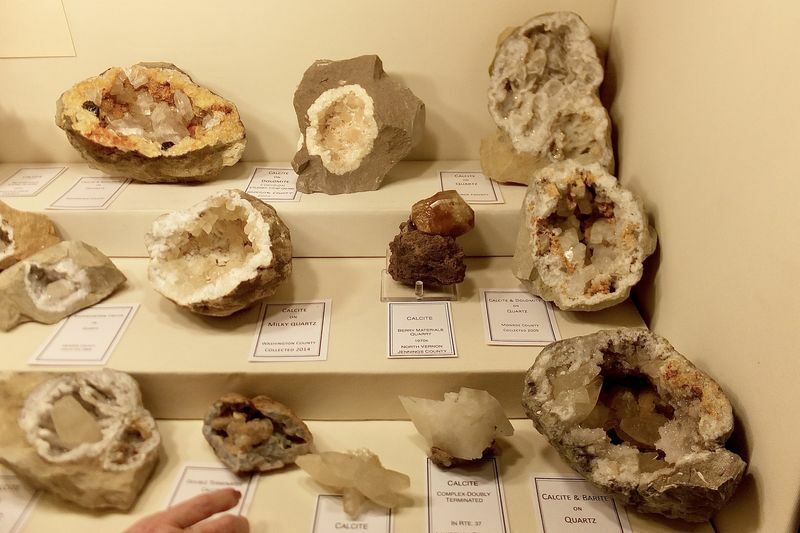 The only stores that sell minerals are in the same location, as is the yearly show I attend lol.